The angel who has the same soul as Kobato. In Drop 20b, it reveals how her and Ioryogi meet. Iorogi meets her when he skips an important meeting between the three worlds. He says she is clumsy and not very beautiful but he fell in love with after hearing her sing. The reason she sang was because after she fell out of a tree, Iorogi helped her get out of the branches and she said she need to thank him in some way. Also in Drop 20b, it says that she was the angel entrusted by God with the role of incubating the "Angel Egg". The reason Iorogi started the war in Heaven was so he could be with Suishou. In 21b Genko explains to Ginsei than when Kobato died as a result of the war in Heaven, Suishou offered her own soul in order to resurrect Kobato, though at the cost of not being able to reincarnate. She is now sleeping inside Kobato to help stop Kobato&#039;s time. Also in Drop 21b, it is revealed that the time limit set for Kobato collecting hearts is the time that is left before Suishou disappears. 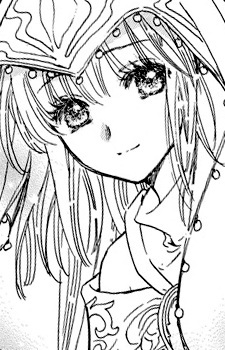 In Drop 22c, Ioryogi sees Suishou&#039;s transparent angel wings come out of Kobato when she uses the angel power of Hougan to help Kobato read Okiura&#039;s heart. In Drop 23b, it says the reason she came out in Drop 22c was because Kobato&#039;s time has begun to move again. In the Final Drop of Kobato., it reveals that even after 16 years after Kobato made her wish and was reborn Suishou still resided within her to sustain Kobato&#039;s illness. However if Kobato could get through that life then when she was reborn again, Kobato would not need Suishou and Suishou would return to Heaven. At the end Suishou asks Ioryogi that if that happens would he come get her and then just smiles.